Instagram is a popular photo-sharing app. For past few months, the app has added so many features to make itself interesting. It also adopted several features from Snapchat and got good feedback from users. Instagram is all about photos and short videos. So, photographers, models, and celebrities are regularly using it to showcase their photos. But many people have started finding the app boring. There are few apps that offer better photo editing and more filters than the Instagram offers. So, many people look for better ways of editing photos before sharing with friends. There could be more reason why you could search for alternatives to Instagram. We have found few interesting apps that you can try to share your photos and make awesome few friends. 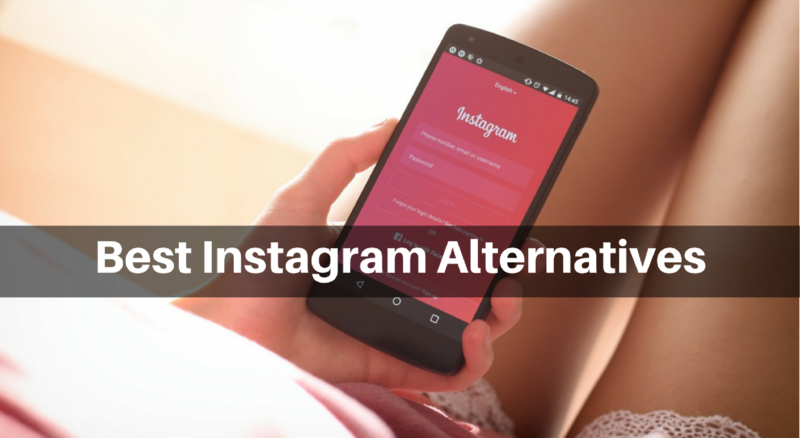 So, here is the list of 5 best Instagram alternatives. Flickr is a free app that offers one terabyte of free cloud storage for your photos. You can use Flickr to keep your photos safe and share with people as well. This app also got several editing capabilities and tons of filters. So, you can edit and share photos with Flickr’s community. You can choose what photos you want to keep private and what to share publicly. Flickr is available for both Android and iOS. You can also try its web version. Flickr also has an advantage. It allows users to upload 360-degree photos. So, users can also try Flickr in virtual reality. It has an app Flickr VR for Samsung Gear VR headset. Filterloop is an awesome photo editing app that allows you to add many filters and textures in the photos to make it more beautiful. In terms of editing, this app is better than Instagram. But it does not have community option. So, you will have to use Instagram or Facebook to share your photos and show it to the world. This app is ads supported and video ads irritate sometimes. Few good filters and textures are paid. You can buy those filters and textures individually. But free filters are enough to try and make your photos even more beautiful. Snapseed is a brilliant app that makes your photos much better. The app is now owned by Google and most of its features have been added to Google Photos. This app gives you lots of options to enhance your photos with just one touch. So, you do not need a powerful editing software for enhancing your photos. The app is free and supports both Android and iOS platform. So, do not forget to try this as well. Pixlr is one of my favorite photo editing tool for a long time. It offers a wide range of tools and features for photo editing. This app is easy to use and user-friendly. So, you will face no problem in understanding how to use filters, effects and other editing tools. This app lets you apply filters in real time. There is also an auto-fix feature to handle things automatically. When you are done with editing, you can also share photos with friends. Hipstamatic has a weird name but it offers powerful editing possibilities. it comes with most of the editing features you get in other apps. With a single tap, you can enhance your photo and turn it into a masterpiece. It has different photography apps that include DSPO, Cinematic, Tintype, Incredibooth, Swankolab, and Oggl. You can also share the photos with all these apps easily. Oggl is a social network for like-minded photographers to showcase your skills. These are not the only apps that offer Instagram-like photo editing. Adobe Photoshop Express, Camera+, VSCO Cam, Retrica, and Negatives are few other editing apps that offer one-click photo enhancing option. You can also try these apps. Try any of these apps and do not forget to share your favorite Instagram alternative with us using the comments section below.